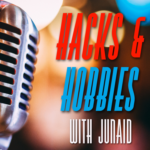 Hacks & Hobbies – Page 11 – Hobbies for Days. E109 – Bees are here! E102 – Microphones, whats the deal?